1. CHARLES WOLFF A Gentleman from Leipzig was born Abt. 1795, and died Abt. 1850.
i. FREDERICK MAURITZ WOLFF, b. 1814, Leipzig, Saxony; d. 16 Oct 1879, Smyrna (Izmir),Turkey. 2. FREDERICK MAURITZ WOLFF (CHARLES) was born c1814 in Leipzig, Saxony (Source: Naturalisation certificate. ), and died Oct 1879 in Smyrna,Turkey (Source: Death Certificate.). He married SOPHIA CONSTANTINE or KELEMAN Jan 1852 in Smryna, Turkey In the chapel of the consulate. (Source: Marriage Certificate. ), daughter of CONSTANTINE. She was born 1831, and died Abt. 1900.
i. CHARLES HENRY MAURICE WOLFF, b. Nov 1852, Smyrna,Turkey; d. 1907, Cairo. ii. ALFRED FERDINAND WOLFF, b. Aug 1855, Smyrna,Turkey; d. 29 Aug 1914, Liverpool. iii. WILLIAM EDGAR WOLFF, b. Feb 1857, Smyrna,Turkey (Source: Birth certificate. ); d. Abt. 1883, Smyrna,Turkey. iv. EVELINE SOPHIE WOLFF, b. Aug 1858, Smyrna,Turkey (Source: Birth certificate.). 3. CHARLES HENRY MAURICE WOLFF (FREDERICK MAURITZ, CHARLES) was born Nov 1852 in Smyrna,Turkey (Source: Birth certificate. ), and died 1907 in Cairo. He married RACHEL ELIZABETH WALSWORTH Mar 1885 in British Consulate, Suez, Egypt. (Source: Marriage Certificate. ), daughter of JOHN BENJAMIN WALSWORTH. She was born Jun 1862.
i. GERTRUDE LUCY WOLFF, b. Bet. 1886 - 1890.
ii. MABEL ELSIE WOLFF, b. Bet. 1886 - 1890.
iii. MAURICE WALSWORTH WOLFF, b. Bet. 1886 - 1890.
iv. PERCY DUDLEY WOLFF, b. Bet. 1891 - 1895; d. Bet. 1891 - 1895.
v. ERNEST ALFRED WOLFF, b. Bet. 1896 - 1900. 4. ALFRED FERDINAND WOLFF (FREDERICK MAURITZ, CHARLES) was born Aug 1855 in Smyrna,Turkey (Source: Birth certificate. ), and died Aug 1914 in Liverpool (Source: Death Certificate.). Occupation: 1890, Merchant, Later Bookseller, Tabacconist. WOLFF Alfred Ferdinand of 102 Pembroke Place LIVERPOOL, Second-hand Bookseller and Tobacconist died 29 August 1914 Administration (with will) Liverpool 23 September to Amy Wolff widow. Effects £177 8s.9d. He married (1) AUGUSTA CHRISTINA FREY Abt. 1883. She was born Abt. 1856.
i. EVELINE AUGUSTA WOLFF, b. Nov 1884, Faggala, Cairo (Source: Birth certificate.). He married (2) WILHELMINA THEELEN (Source: (1) 1891 British Census., (2) 1901 British Census.) 25 Oct 1890 in Register office, West Derby, Liverpool (Source: Marriage Certificate. ), daughter of ANTOINE THEELEN and ??. In the 1891 Census she is shown as being Blind. She was born 1850 in Holland, and died Nov 1905 in Pembroke Place, Liverpool (Source: Death Certificate.). He married (3) AMY EDA (or Edith) JONES (Source: 1901 British Census.) Sep 1906 in Registry Office, West Derby, Liverpool (Source: Marriage Certificate. ), daughter of JOHN JONES and MARY PARRY. She was born Jul 1871 in Upper Mann str, Toxteth park, Liverpool., In 1919 she married JOHN HENRY GRIFFITH (c1873-1937) and died in 1939.
iii. DOUGLAS MAURICE WOLFF, b. Aug 1910, Liverpool; d. May 1983, Axminster, Devon..
iv. 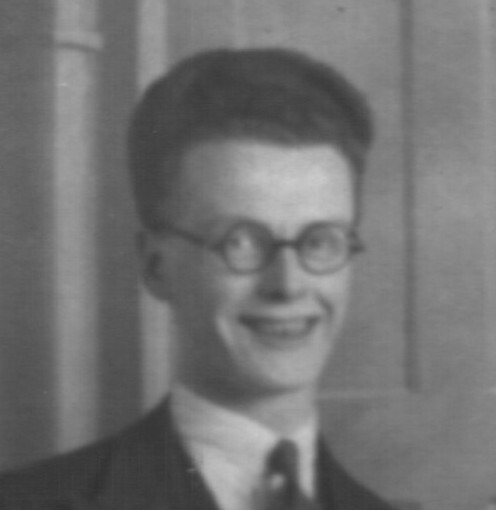 WILLIAM EDGAR MAURICE WOLFF, b. Apr 1912, Liverpool. d Mar 1958, Liverpool. Occupation - Male Nurse. 5. DOUGLAS MAURICE WOLFF or PAUL SHERIDAN (ALFRED FERDINAND, FREDERICK MAURITZ, CHARLES) was born Aug 1910 in Liverpool (Source: Birth certificate. ), and died May 1983 in Dalwood, Axminster, Devon. (Source: Death Certificate.). He married (1) BRIDGID MARY DUFFY Dec 1932 in Liverpool (Source: Marriage Certificate. ), daughter of WILLIAM DUFFY and WINIFRED WYNNE. She was born Apr 1910 in ireland, and died 1997 in Cornwall. ii. ANTHONY PATRICK WOLFF, Tinahely, Ireland. He met (2) MINNIE ROSENBERG, daughter of ABRAHAM ROSENBERG and ANNIE NODVORNY. She was born 1909 in Edge Mount, W Derby, Liverpool. (Source: Birth certificate.). iii. 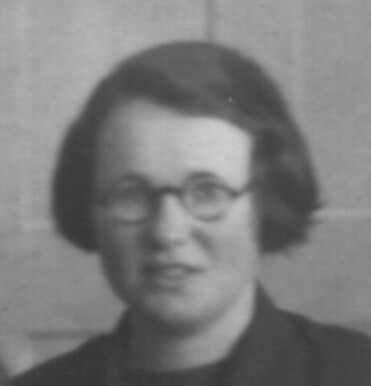 ROSALIND BRONWEN ROSENBERG, Tynant Wales (Source: Birth certificate.). iv. LLINOS JOY SHERIDAN, Tynant Wales (Source: Birth certificate.). He met (3) PAMELA JOSETTE NATHAN ( BRUST ) daughter of ALEXANDER JOSEPH NATHAN and MURIEL LOUISE MARKS. m. June 1946 in North Wales (Source: The Times). PAMELA was born 1911 in Kensington (Source: Birth certificate.) died 1994. He met (4) AUDREY TOINTON. . He met (5) ANNE ELIZABETH SHERIDAN. He married (1) MATILDA GREGGANS in Apr 1936 in Liverpool (Source: Marriage Certificate. ), daughter of GEORGE GREGGANS and MATILDA STOCKS . She was born in 1913, and died may 1966. 7. DENIS WYNNE WOLFF (DOUGLAS MAURICE, ALFRED FERDINAND, FREDERICK MAURITZ, CHARLES) was born 1933. 6. ANTHONY PATRICK WOLFF (DOUGLAS MAURICE, ALFRED FERDINAND, FREDERICK MAURITZ, CHARLES) (Source: Birth certificate.) was born 1939 in Tinahely, Ireland (Source: Birth certificate.). He married MADELINE PENELOPE WILSON, in Bridlington, East Yorkshire (Source: Marriage Certificate. ), daughter of INNES BRADBURY and LIVING SPARKS. She was born in Harrogate, Yorkshire (Source: Birth certificate. ).